A few months ago, I came across this article from MSNBC entitled "Pass the tofu: 1 in 200 kids is vegetarian". I was amused because there are 4 kids in our household and three of them are vegetarian. So when the article underlines the fact that adolescent vegetarianism seems to be rising, I totally agree. I don't have kids yet but I hope they will be open to a wide variety of foods while eating meat in moderation, unless my vegetarian husband and my father-in-law try to influence them! Anyway, many studies have concluded that a diet high in red meat increases the risk of various cancers when compared to a vegetarian diet. As a meat eater, I'm always more reluctant to try vegetarian food even though, I keep having to come up with more varied vegetarian meals for the non-carnivores in my house. 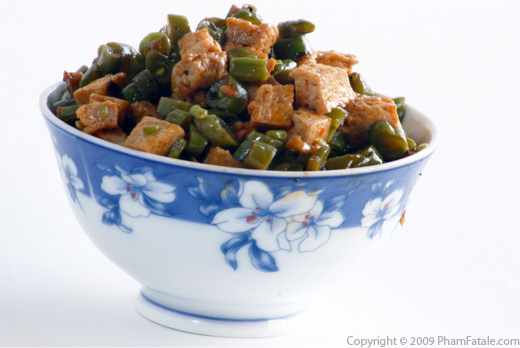 So here is a recipe that both meat-lovers and vegetarians will love for its texture and flavor. Try it out and remember, there are health benefits for you to consume less meat overall in your diet. How about starting with one veggie meal a week? Lemongrass is very common in Vietnamese cuisine. It is considered as a mild diuretic, tonic and stimulant. It's very fibrous so lemongrass needs to be finely chopped. 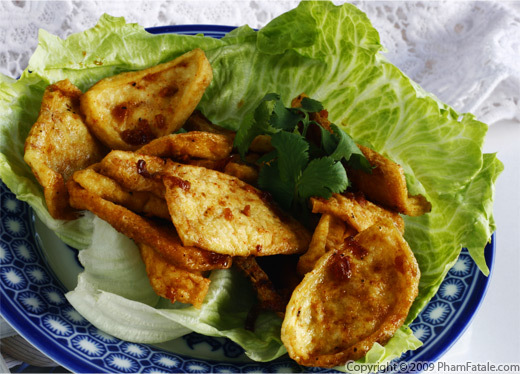 This particular recipe combines lemongrass with fried tofu. Lemongrass is quite expensive in stores and it sold by bulk of 5 stalks. It's a perennial. I asked my husband about it and he started to grow 4 "bushes" last year and we keep getting some, which is very convenient. Tofu Bánh Xèo is a vegetarian Saigon crepe. It's is a South Vietnamese dish. The exact translation is a "sizzling cake that is deflating". The Bánh Xèo crepe has a rice flour base with coconut milk. It's a lot thicker than the French version but just as delicious. 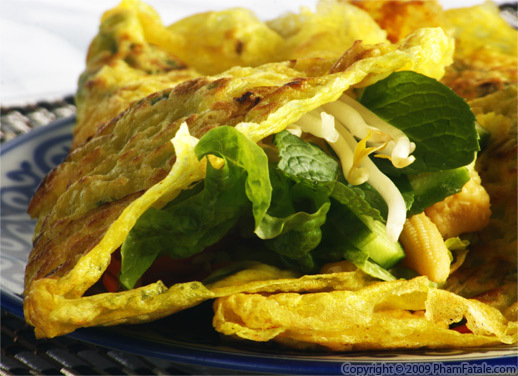 The crepe has an earthy flavor, so It's always a savory dish filled with a lot of vegetables. I've noticed that a lot of Vietnamese dishes have French influences as a result of years of colonization. The preparations are French, but the ingredients are Vietnamese. 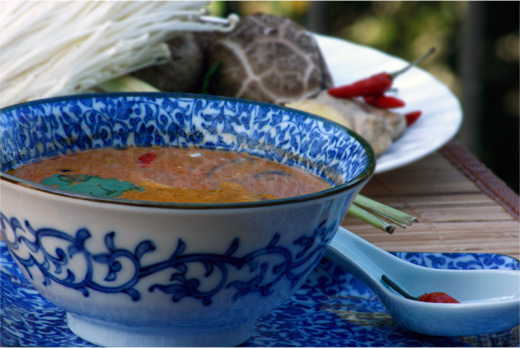 For example, the beef fondue, called bò nhúng dấm in Vietnamese, uses a fermented shrimp paste in the sauce. 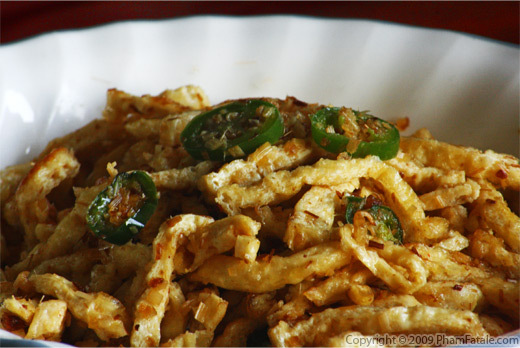 Prepare this very exotic and healthy meal for your family and friends. You'll have another recipe in your arsenal for Sunday brunches and dinners alike. Page 1 of 23 pages.